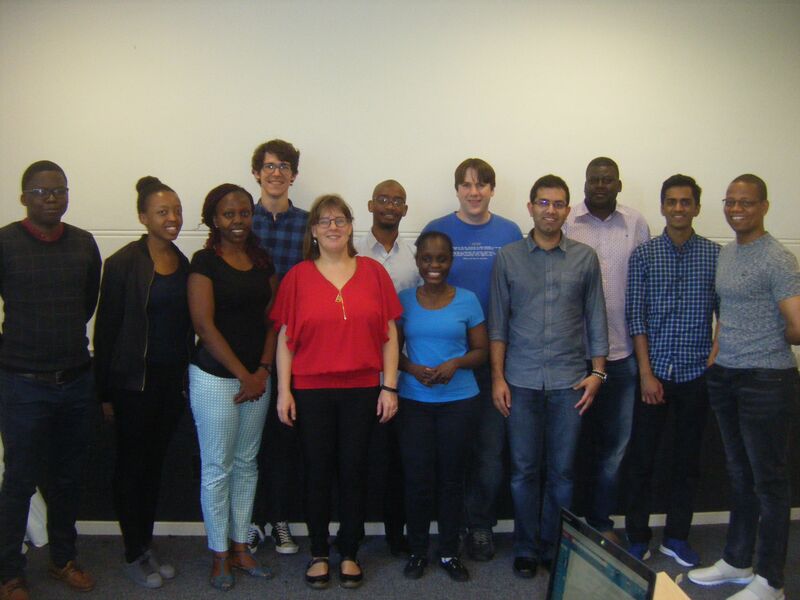 A workshop was held at the computer science department on December 4-5, 2017, to investigate the possibilities for English-isiXhosa machine translation, with as motivating scenario doctor-patient consultations. Consultations are hampered by language barriers in the multilingual setting in South Africa, negatively affecting quality of care. 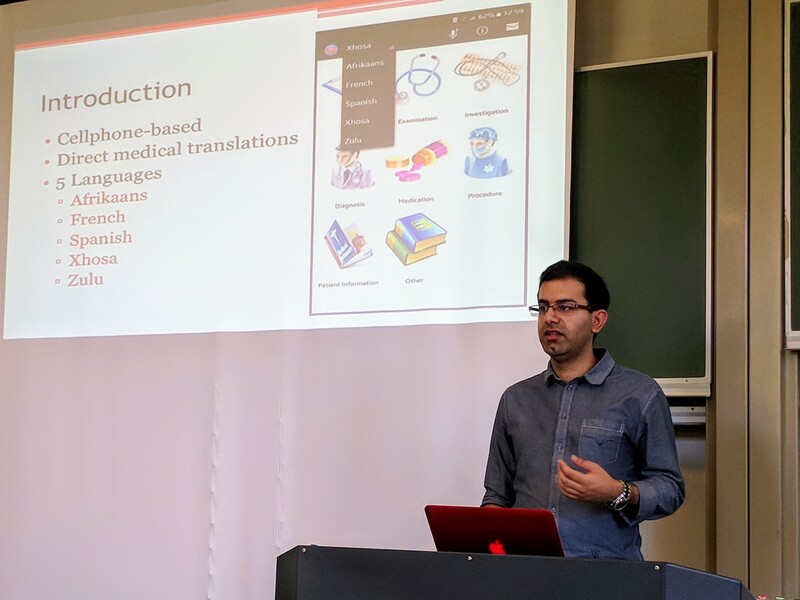 An aim is to move from the current fixed phrase-based translation app Mobile Translate MD (by former ICPC finalist and UCT alumnus Saadiq Moolla) to support efficient, effective, and flexible consultation conversations across the language barrier. As isiXhosa is an under-resourced language, effective machine translation is expected to need various computing technologies and have contextual relevance, with an emphasis on a data-driven approach and requirements from the field. To this end, the workshop had an interdisciplinary set-up, and saw participants—academics and students—from computer science, linguistics, and healthcare from UCT, UKZN, UWC, SU, the University of Edinburgh, and Tygerberg Hospital. Preliminary results and related relevant aspects were presented and discussed for devising improvement. This included as phrase-based and neural machine translation techniques, natural language generation, information retrieval, and spellcheckers on the computing side, an introductory overview of isiXhosa, and a presentation describing the range of problems in hospitals that emanate from the language barriers. 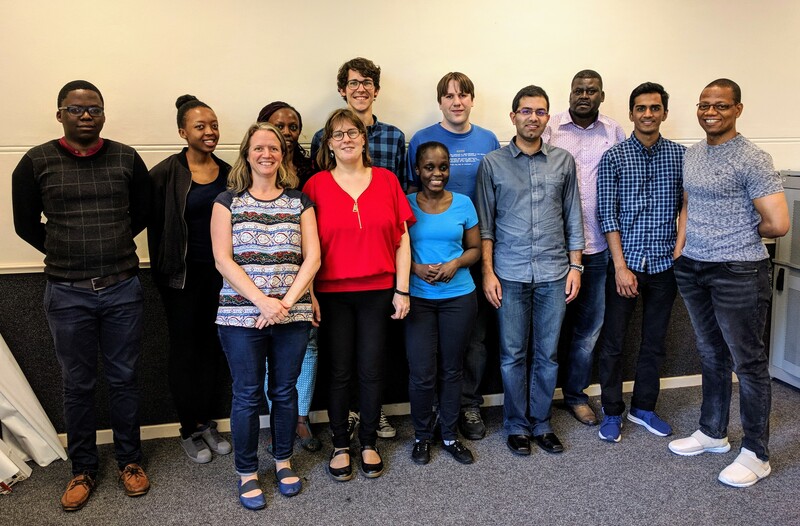 The workshop was part of an EPSRC-funded project on “medical machine translation” between UCT and the University of Edinburgh, with Maria Keet at UCT as co-PI and Kenneth Heafield from Edinburgh as PI.